After month of NOT painting my nails when I was pregnant, I was dying to put some color on those piggies. The problem is, being with Lexi 100% of the time and working like a mad women when she is asleep, I couldn’t allow myself to use conventional nail polishes around her. So after looking at some natural options out there, I gave a try to the PritiNYC brand. PritiNYC are 5 Free & Vegan, completely non-toxic, and are free of toluene, dibutyl phthalate, formaldehyde, formaldehyde resin, and camphor – all known carcinogenic ingredients. My fear was that like with a lot of natural stuff, these polishes wouldn’t work as well, last as long, or won’t look good. They were perfect, worked as well as conventional nail polishes: the color went on very evenly (almost more so than some conventional stuff like Essie), it stayed on for days and didn’t need a second application. Their colors are AMAZING! I spent an hour deciding which shades to order. They also have a super cute kid’s line that I got for Lexi ( not that she sits still enough for me to apply these). She is now showing interest in nail polishes and I tried to apply one of the Priti Princess shades. They are very very light by the way, so if you want more color for your kiddo, select the darker shades. Also, if you’re looking for a safe alternative to nail polish removers, check out their soy based nail polish remover. It requires just a smidgen more effort to remove the polish but it smells amazing and doesn’t emit all those toxic fumes that conventional removers do. I definitely recommend checking out their website for available shades. The products are also available on Amazon in limited colors. It comes in a HUGE bottle and you only need a pea sized amount for hair my length, so don’t let the price scare you, if you’re looking at their 10 fl ounces product ( there is also a smaller 2.5 fl oz for only $13). This is a multitasking magic cream. It softens the hair if applied on wet hair, it hydrates, it fights frizz, it gives a soft hold and is a perfect styling anti-frizz cream for dry finished hair. A tiny amount spreads all over the hair without any effort, so I will probably be using the same bottle of the cream till its expiration date. I usually apply a small amount it on wet hair, when I know I will be blow drying or curling it and it gives those soft bouncy curls that you see in videos that actually hold and creates volume when you blow dry it straight. This cream is honestly the only thing I need for most of my styles, because of my hair type. If you have fine hair or need more volume, Root Boost, applied on towel dried hair, is a perfect solution to heavy hair that seems to flat out on the top, like mine). It’s recommended that you blow dry lifting the roots away from the scalp, but for me it’s enough to just lower my head a little to create volume while blow drying and the root boost does the rest. Volumizing Mousse is amazing too. It gives super soft hair and waves that look so defined and soft when brushed out. These are the three go-to products for me right now when it comes to styling. I’m planning to write a post about a few hair styles that I use, so I will be showing these products, so that you could see what I am talking about when I say soft waves. Time. I don’t have it. The first thing to go with time was my beauty/skin care routine. So I have done my best to arm myself with beauty tools and products that either do double duty or save me time some other way. Probably the most missed beauty routine of mine has been moisturizing. I just never have time to apply lotion all over my long body. It takes forever. Recently some of the major brands came up with a moisturizer spray. I had been thinking for years about a product like that and never got why no one came out with one until now. The problem with the conventional products are the usual: all the crap they put into it. Check out this moisturizer spray, Capri Clear. All it contains is pure fractionated coconut oil. Nothing else! It’s interesting to see the comparison of ingredients to major brand moisturizers. Because the oil has been refined, you won’t find any allergens or smells in this lotion, only the pure medical use oil. The spray is perfect for babies and adults that suffer from skin conditions or any of us who just want a natural non-toxic moisturizer spray on the go. I can think of so many uses for it, including an after sun lotion, if you mix a bit of aloe vera into it. It’s not very greasy, absorbs quickly, colorless and odorless (no coconut scent), sprays really well and ensures even coverage. Another benefit of this lotion over others is that if you have painful eczema, you don’t need to rub the lotion in for it to absorb. All you do is spray. And it’s perfect for on-the-go toddlers. Lexi is rarely still enough to apply a lotion, so this is a great solution since it contains no chemicals. One bottle last forever and they have a travel sized bottle for the car or your suitcase. I just ordered myself one, since I travel a lot and my hands are always begging for some moisture. I’ve been trying a lot of hair products lately because I am trying to find something that makes my hair look amazing without requiring too much time or having too many chemicals. I am obsessed with Phyto hair. 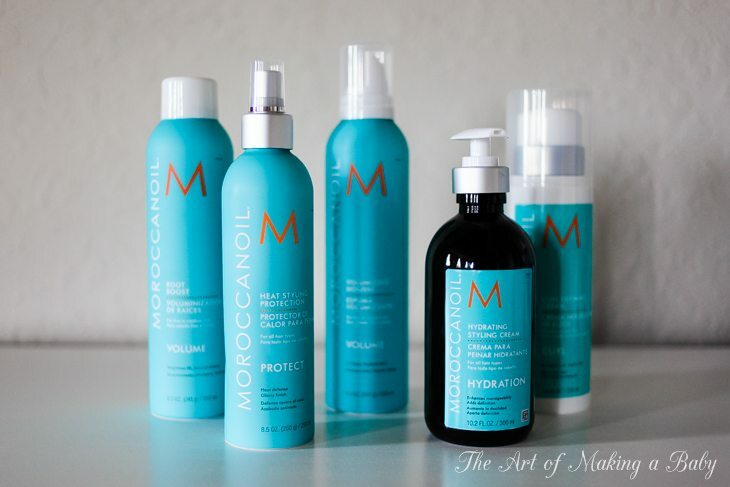 I haven’t had a chance to try their shampoos or conditioners yet, since I am focused o the treatments at the moment, but the treatment oils they did send me are AMAZING! Do you remember me complaining about my hair and how bad it looked after pregnancy, especially considering I use all natural products that don’t all manage to make my hair look shiny and healthy (ironic isn’t it?). I now use two PHYTO oils on rotation: Subtil Elixir and Huile D’Ales. Both are pre-shampoo treatment oils, both are non-toxic, made from natural plant ingredient. Subtile Elixir is used once or twice a week for 10 minutes before rinsing and shampooing. It promises to restore shine and repair dry and ultra dry hair and it does just that. When I first used the oil, I honestly couldn’t believe my hair the next day. It was shiny and full of moisture and just so much healthier than after any product I have used in the last 24 months. Huile D’Ales has a similar purpose, but it also focuses on the scalp. Restores softness, moisture and shine. This is harder to use as it comes in an ampule that needs to be broken off into a spray bottle, but it works even better. 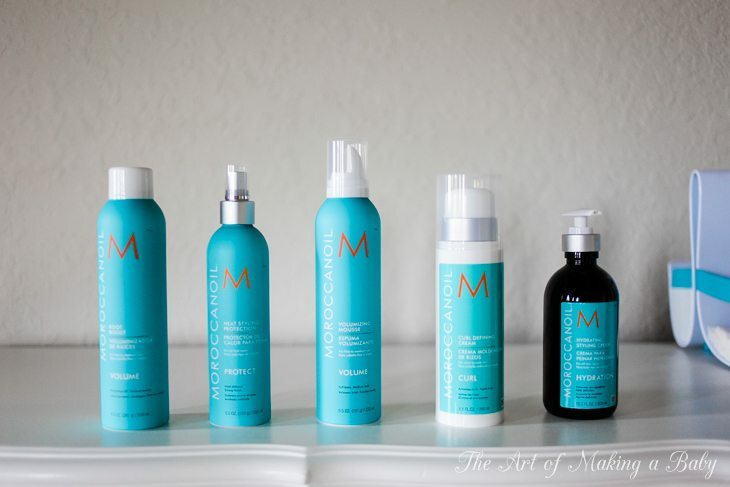 You leave it on your hair up to 30 minutes and the hair is truly transformed. I don’t know how else to explain what my hair looks like after each on of these treatments. This oil can also be used to protect the scalp before coloring hair or to add to the color mixture during a chemical process. Both of these are miracle workers. Nothing I’ve used before made my hair look this way.I usually apply these on my hair after Lexi has gone to bed and then shower before joining her. Subtil Elixir lasts a very long time. I still have half the bottle left after using it once or twice a week for 2 solid months. These two products have definitely made it into my weekly routine and I will continue using them religiously. I bought these shampoo and conditioner from Desert Essence from Whole Foods and they are the best organic natural shampoo/conditioner combo I have tried ( I’ve tried a lot). Aside from the smell, these coconut based products really hydrate my hair. No longer do I have parched ends even when I don’t use the above mentioned oils. I am looking to buy some other scents and products since I was so impressed with the coconut line. Definitely try these if you shop at Whole Foods, or buy them here. I paint my nails when my baby is asleep at night and I just use a fast dry topcoat. I am not concerned about chemicals since I do not handle her when the nail polish is wet. Once it’s “cured” I don’t think it’s an issue. Is the Capri Clear greasy? I was confused by our comment about adding aloe vera to it and it won’t be greasy. So does that mean it is greasy without it? I was confused. I have horrible dry itch skin and I have been trying to find something i can use on my whole body including my face. Do you recomend anything else that is ALL Natural or Organic besides the Capri Clear? I am not exactly sure what you’re referring to. I said it’s NOT very greasy, and mentioned aloe vera for the after sun lotion. So no, It’s NOT greasy at all. It goes on a bit like an oil but quickly absorbs unless you really saturate the skin. I am also in love with Cecilia Wong for facial moisturizer. It’s expensive but really really good. Thank you so much for sharing your research! As always, I appreciate it so much and find myself piggybacking on your opinions when I don’t have time to research it myself. I just purchased the Desert Essence Shampoo and Conditioner (and a bunch of their other products!). I’d been using Burt’s Bee Baby Bee Fragrance Free Shampoo which was the best I could find with my own research so I’m happy to find something more fun to try.